You read about Real Kids Shades awesome promotions (including the $250 VISA Giftcard Giveaway) HERE. NOW, it is your chance to win your very own pair! I'd pick the Toddler Shades in Pink Daisy 2-5 Years! 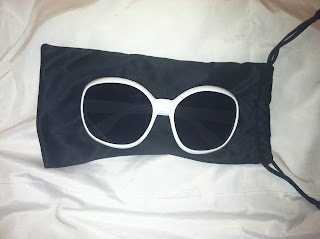 I love that these are real sunglasses and not just decorative, cutesy one's for kids! My first shades or the hat shade combo. Xtreme Chill is my choice! The pink flex for my little girl! I like the Toddler Shades in Pink Daisy! Thanks so much for the fantastic giveaway! Oh my the Toddler Shades 2 - 5 Years for my son! It would be his first shades and Red would look great on him! I like the Flex Shades in Hot Pink. I'd choose the flex duo for both of my boys. I would choose the Flex Duo Shades in Black/Red for my son. I would pick a pair of the Xtreme Chill. love the pink flex pair! I would choose the Fabulous shades! The Flex in Purple. Thanks for the giveaway. I love the Flex in pink and Flex Duo in Red/Black! I'd choose the Xtreme Convertible shades in either black or white. Thanks! I like the Hot pink Flex and the pink/orange Flex duo.